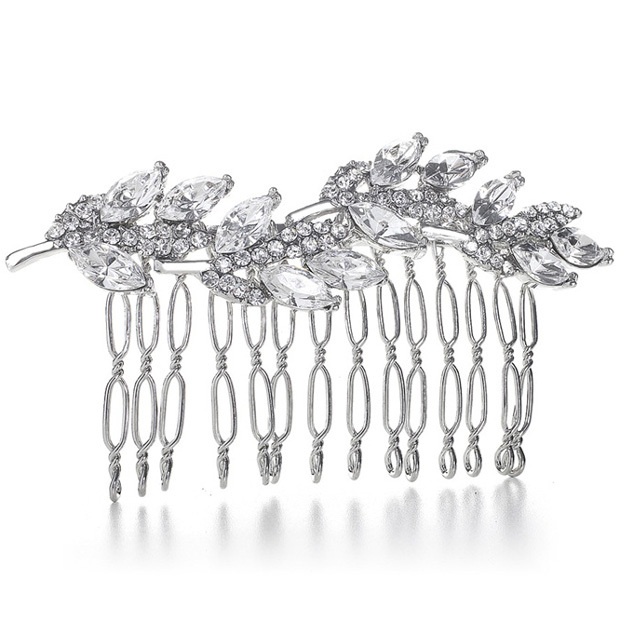 * This vintage prom or bridesmaids hair comb by Mariell features marquis crystal leaves on a shimmering rhinestone vine. * This sparkling hair accessory measures 3 1/4" w x 1 3/4" h and is plated in lustrous silver rhodium. * Our elegant comb will add a brilliant accent to your prom, bridesmaids, wedding or homecoming at a super wholesale price!